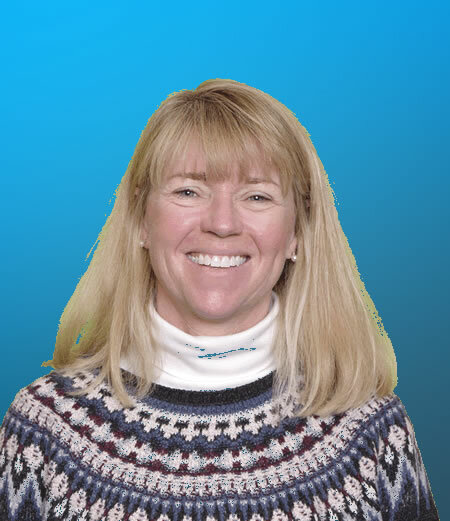 Susan joined the Glen Ellyn Food Pantry staff in 2005, working since 2009 as Executive Director, leading a team of 9 additional part-time staff to distribute almost 1 million pounds of food to over 30,000 individuals annually in Glen Ellyn and surrounding communities. Susan graduated from Northern IL University with a degree in Social Services and spent the next 17 years at Helene Curtis, Kraft General Foods and Market Day in corporate Human Resource Management before ‘retiring’ to stay home with her two daughters. Wanting to re-enter the workforce, Susan took a job with the Glen Ellyn Food Pantry 10 hours a week. Now working full-time, Susan feels ‘completely blessed’ to be on this journey, working with the community to help those experiencing food insecurity in our local neighborhoods. Having worked in Public Accounting, and as an Accountant in privately held companies, Monica joined the Glen Ellyn Food Pantry as Director of Finance in 2011, and holds a BS degree from Marquette University in Accounting, and a MBA in Leadership and Change Management. Monica is a busy and proud mother of four children, who are “growing up way too fast.” She loves spending any free time with her family, attending sporting events, staying active, and volunteering at church and school. Monica works part-time with the Food Pantry. A local Glen Ellyn resident, and Glenbard West graduate, Jodi joined the Glen Ellyn Food Pantry staff in 2008. After volunteering for two years with the Pantry, she then transitioned into an overall administrative role with the Pantry, coordinating and scheduling volunteers and overall office/data support. 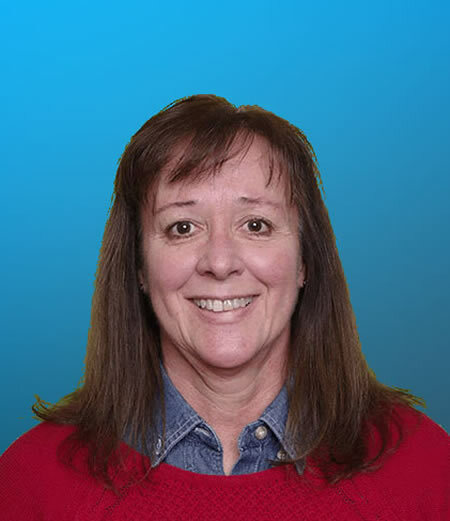 Jodi holds a BA degree from National Louis University in Human Services/Psychology, and a Master’s degree in Public Health from Benedictine University. 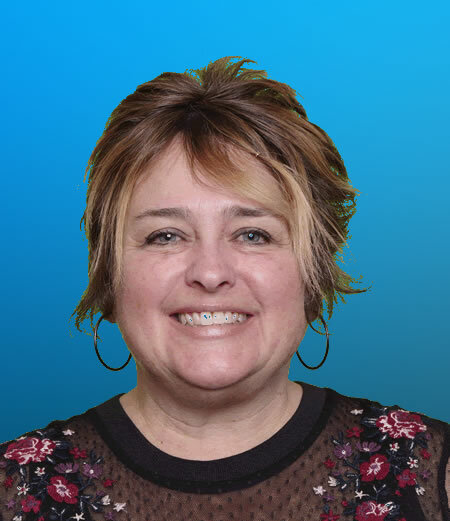 In addition to her work at the Food Pantry, Jodi currently works for the Village of Glen Ellyn as a Senior Services Coordinator, and enjoys CrossFit, reading and gardening. To celebrate entering into her 50's, Jodi got a tattoo at age 50, 51 and 52!! Jodi works part-time with the Glen Ellyn Food Pantry. Terri works part-time with the Food Pantry. Rich joined the Food Pantry in 2014 after volunteering for four years in the Pantry. Rich was hired to manage the continually expanding Food Recovery Program, and has transitioned to Operations Manager, overseeing much of the Pantry’s daily operating processes. Rich holds a Bachelors degree in Business Management from DePaul University. Rich is retired after a long career in Financial Services at Goldman Sachs where he worked as a Private Wealth Operations Manager VP. 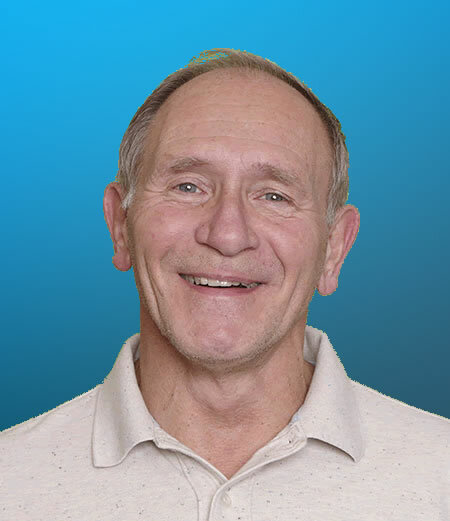 Rich enjoys spending time on the golf course, and with family and friends. Our resident music enthusiast, Rich keeps it jammin’ each and every day as the food rolls in from our retail partners. Rich works part-time with the Glen Ellyn Food Pantry. After two years of volunteer work with the Pantry, Mary Pat joined the staff as Assistant to Pantry Supervisor in 2013, working with clients and volunteers, and handling pantry administrative duties. Mary Pat holds a BS degree in Business Administration from the University of Illinois, and a MBA degree in Marketing. 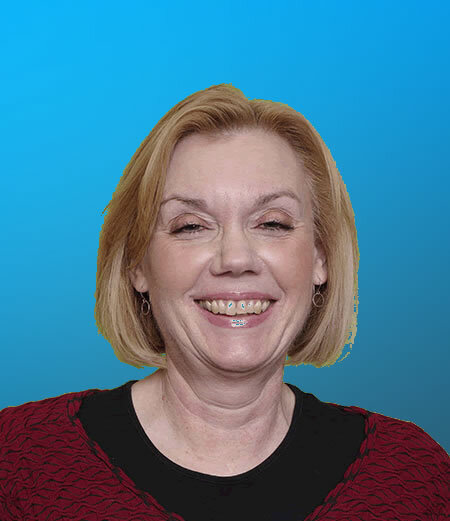 Born and raised in the Chicago suburbs, Mary Pat enjoys quilting, reading and tailgating with friends and family. Mary Pat and her husband have two sons and one daughter, all of whom were successful athletes from youth through College. Additionally, they have been fortunate to share in their middle son’s amazing opportunity to play football in the NFL. As such, Mary Pat and her family have thoroughly enjoyed the time spent at sporting events, and traveling the country and internationally to games and tournaments, and feel blessed to have had these opportunities. Mary Pat works part-time with the Glen Ellyn Food Pantry. Glenda has been a part of the Glen Ellyn Food Pantry since 2012, volunteering for the first three years, and as a staff member thereafter, working in the Pantry with volunteers and ensuring the needs of our guests are satisfied. A true Southerner, Glenda was raised in Texas, and has also lived in Mississippi and Florida, and was an entrepreneur in a women’s accessories business. In addition to enjoying time with her family, Glenda is an avid animal lover and enjoys reading, gardening, quilting and making jewelry. Glenda works part-time with the Food Pantry. After initially volunteering for the Pantry for two years, Donna joined the Glen Ellyn Food Pantry in 2014, assisting with the Pantry’s ever-expanding Food Recovery program. Now the Lead organizer in the program, Donna organizes fresh produce and bakery items received daily from Food Recovery partners, and directs the volunteers who help make this happen. Donna holds a BS degree in Retail Business/Food Science from the University of Illinois, and previously worked at the Chicago Board of Trade as a hedge fund assistant. Donna and her husband live in Winfield, and enjoy spending time with their family. They love to travel, and have been to Mexico more than 25 times! Donna works part-time with the Food Pantry. After a very short tenure as volunteer, Rick began working in the Pantry’s Food Recovery Program in 2016, coordinating incoming product deliveries from our retail food recovery partners, and assisting with daily operations for this program. Rick holds a BS degree in Finance, and a MBA degree from Northern IL , and holds a certificate from Keller Management Institute at Northwestern University. Rick is retired from BMO Harris Bank, where he worked in Financial Services as a Manager VP in the Special Asset Division. In addition to enjoying family and friends, Rick enjoys golf, biking and running, having completed seven marathons and two tri-athlons. The Food Pantry is blessed to have Rick’s energy and enthusiasm as a part of our team! Rick works part-time with the Glen Ellyn Food Pantry. A long-time volunteer, Michelle joined the Food Pantry in 2017, coordinating clients and volunteers for our newly created ‘walk-in’ food distribution process. 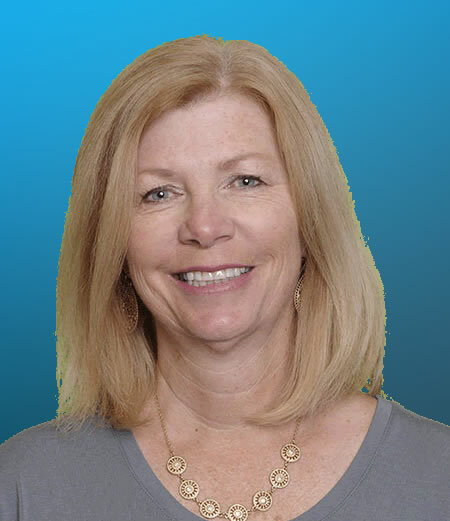 Our resident Californian, Michelle holds a BA degree in Marketing from Cal State University/San Bernardino, and worked in Veterinary Pharmaceuticals as Sales Manager for the California and Hawaii regions. Michelle and her husband, along with their two children and Boxer named ‘Daisy’, live in Glen Ellyn and love to vacation in Mexico! Michelle works part-time with the Food Pantry.